Frontier Communications Inc is setting up a nearly 84,000 square-foot Regional Operations Center at the Allen Office Center. According to the Dallas Business Journal, the rural communications company will take more than 300 jobs to Allen and create an additional 300 jobs within 24 months. The northern suburbs of Plano, Allen, Frisco, and McKinney continue to see commercial growth and businesses moving into the area. 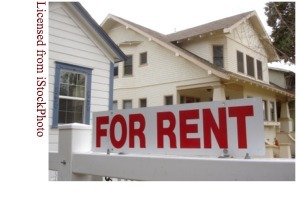 This is not only good economic news but good news for our housing market as well. 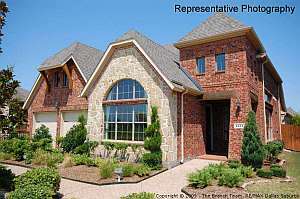 Search for Homes For Sale in Allen Texas. When Does a Texas Contract Become Binding? I read an interesting post on Facebook the other day. There was a discussion about the delivery of the earnest money being required before a contract becomes binding. I’m going to argue that a Texas contract becomes binding when it’s signed by all parties, executed, and all parties have received notice. The rules of the Texas Real Estate Commission (TREC) in Paragraph 535.159(I) requires delivery of the earnest money by the close of business on the second business day after execution unless otherwise stated in the contract. 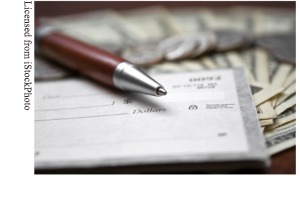 The delivery of earnest money to the escrow officer is a performance issue under the contract. This is clearly spelled out in a Texas 1 to 4 Family Residential Resale Contract. Paragraph 5 reads, “If Buyer fails to deposit the earnest money as required by this contract, Buyer will be in default.” I don’t know how you can be in default if there is no contract. You can only default on a binding contract. Both TREC Rules and the Texas 1 to 4 Family Residential Resale Contract support the concept that delivery of the earnest money is a performance issue. Additionally, Texas has no “right to rescind” the contract within a certain number of days. Once signed, executed, and notice is delivered to all parties, it is binding. Plano TX Home For Sale – New construction on corner lot in Frisco ISD. Spacious island kitchen includes beautiful granite countertops, 42 inch cabinetry, and stainless steel appliances. Extensive ceramic tile flooring. Extra large family room with wall of windows. Available in June. Must see! Click here for Current Pricing, Details, Photos, and Virtual Tour. See all Homes For Sale in the Estates of Willow Crest. For those of you interested in a more detailed explanation, read on. North Texas is known for its clay soil. Clay soil expands and contracts substantially based upon the moisture in the soil. If the soil dries out, it contracts. If it gets wet, it expands. While this seems simple enough, that shrinkage and expansion can have a dramatic impact on a slab foundation. A slab foundation sits directly on the soil. Since clay soil expands and contracts, the slab is actually “floating” on the soil. Keeping the moisture level in the soil around the foundation stable is critical to the long-term stability of the foundation. While the in-ground sprinkler system often provides enough water, many times soaker hoses are installed to help regulate the moisture level. The bottom line is if the soil is pulling away from the slab the moisture content is dropping and steps should be taken to add water. Doing so early can save thousands in foundation repairs later. 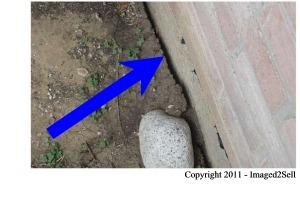 If you think you may have an issue, contact a DFW professional engineer or a foundation company. While the temperatures have been at or above the 100-degree mark, I’m not talking about the heat wave in North Texas. I’m talking about the lease-home market. If you’re searching for a lease home in the area and find something you like, you need to be ready to submit lease applications because the good, clean, and well-priced leases are going faster than new listings are coming on the market. You need to have completed applications and funds ready for the application fee. If you’re an investor looking for solid income-producing properties, the North Texas market is a great place to be. Capitalization rates are on the rise, the local economy is stable, and with more people moving into the area, the demand for rentals is climbing rapidly. Recent court rulings are raising some uncertainties when it comes to Mortgage Electronic Registration Systems (or MERS), which electronically tracks and transfers millions of loans and has been in use by the mortgage industry since the 1990s. Borrowers who have been foreclosed upon using MERS have fought back in court–with mixed success–challenging the legality of MERS and arguing that it doesn’t own the mortgage and therefore, doesn’t have the right to foreclose on them. The industry is keeping a close watch on recent court rulings since the results could have a big impact on reshaping the mortgage industry and potentially throwing the validity of thousands foreclosures into question, The Washington Post reports. MERS holds 65 million loans in its registry. I dropped out to the 32 acres in west Allen yesterday to take a look at the progress being made. The work crews and heavy equipment operators were busy working on-site. The developer has made quite a bit of progress since the the last time I was there. The main lake appears to be completed, the ground for the homesites has been leveled, and they are preparing to install the sewer system. We spoke to Ashton Woods last week and the project is still on-schedule to begin pre-sales in November 2011. 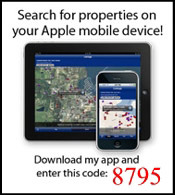 You can see all homes for sale in Twin Creeks, Allen, TX here.